I’ve been working diligently to write an awesome pasta post for the last few days. However, between getting ready for my trip and my excitement, I haven’t been able to complete that post. The struggles of being a home cook and a blogger, huh? Instead, here is the shortish version of some of the pastas I have been making. Ready? Let’s go! First up is the classic fettuccine. For me, fettuccine is always my first choice. I love fettuccine! It holds up to most sauces, has a great texture, and is the easiest to make, in my opinion. 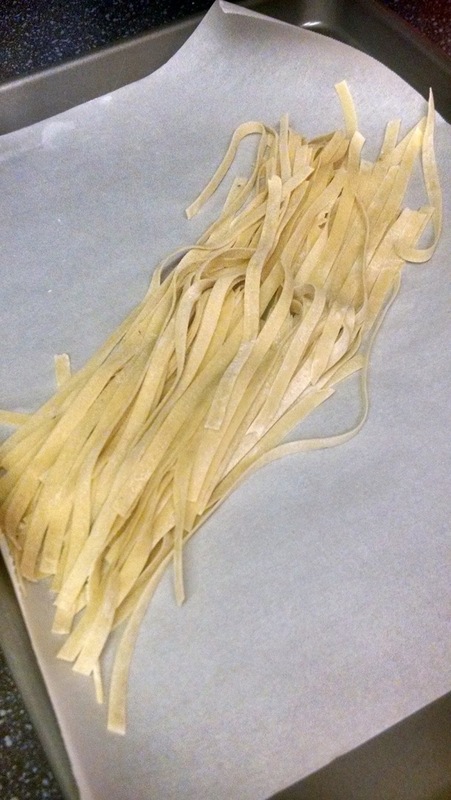 Bath time for our faithful fettuccine. I just dressed this with a little olive oil, salt, pepper, butter, and a little fresh parmesan cheese. Although it seems simple, it is a perfect balance of flavors. Looking for a different twist? 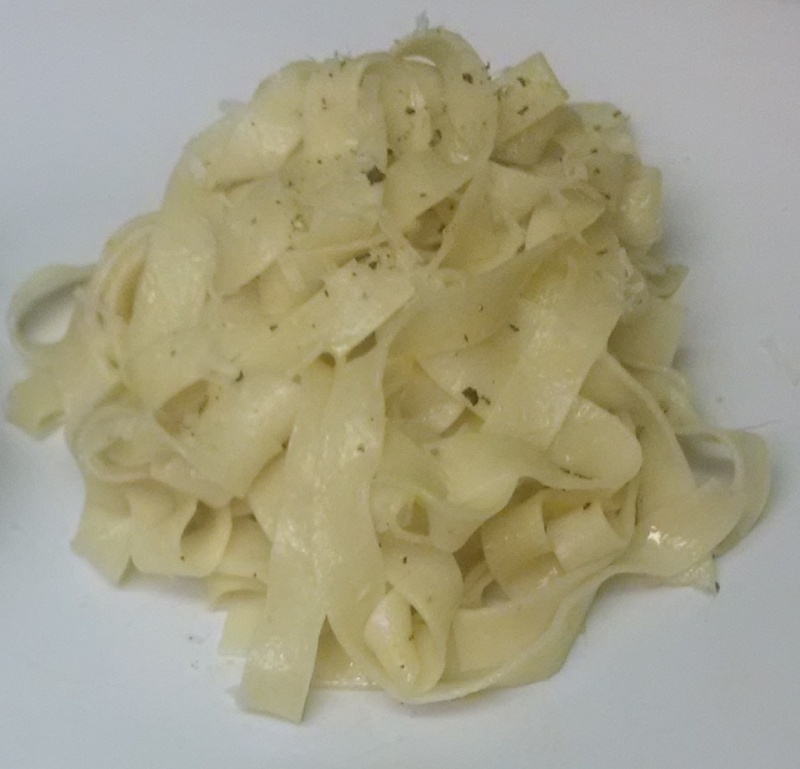 I did two variations on basil fettuccine. This first application I actually rolled the whole basil leaves into the dough. I did use my hand crank pasta roller to achieve this look. 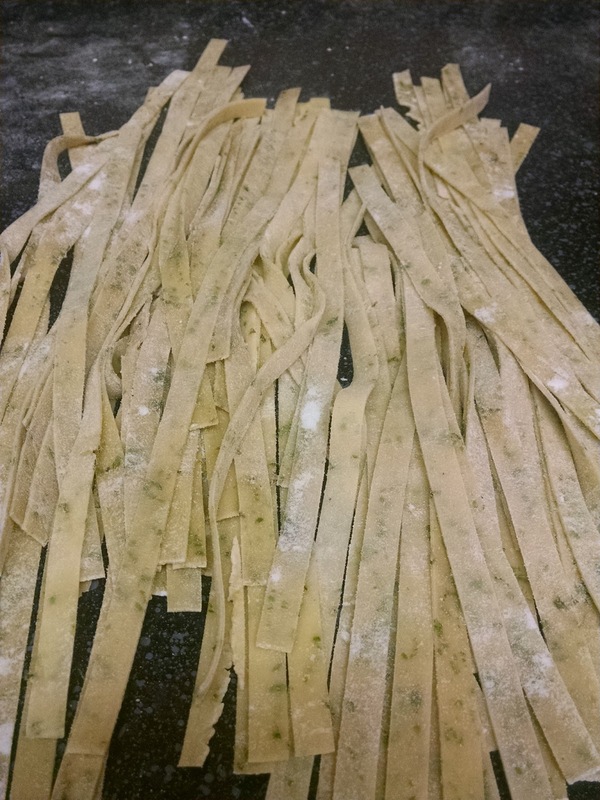 Notice the fettuccine has a green hue and you can see the specks of basil throughout. 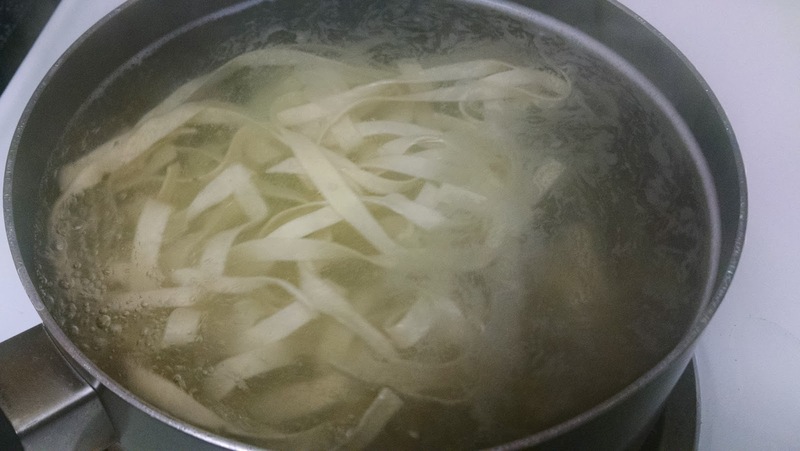 After a couple of minutes in a pasta hot springs, you end up with this cooked pasta featured below. 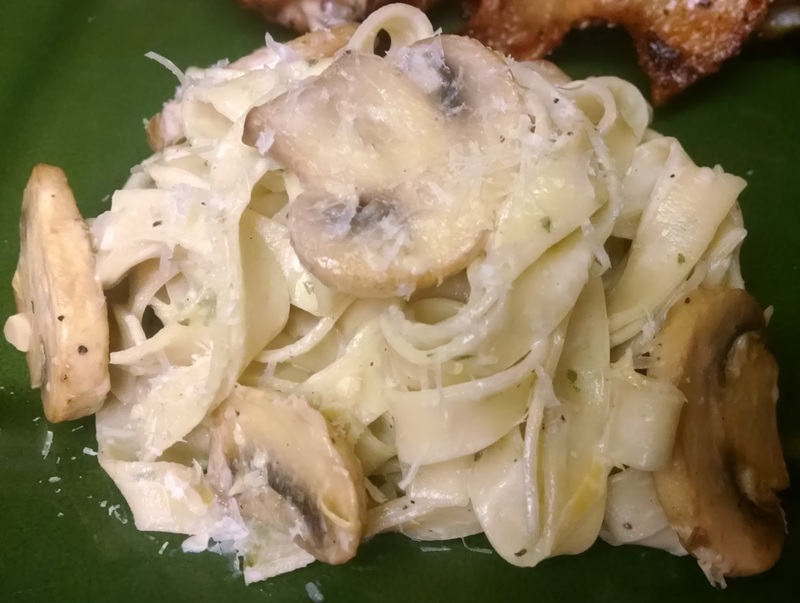 Below is a completed dish using this basil pasta with a mushroom lemon cream sauce I created on the fly. It was so darn good! I will be sure to share the recipe for this sauce very soon as I am still making sure the measurements are sound. 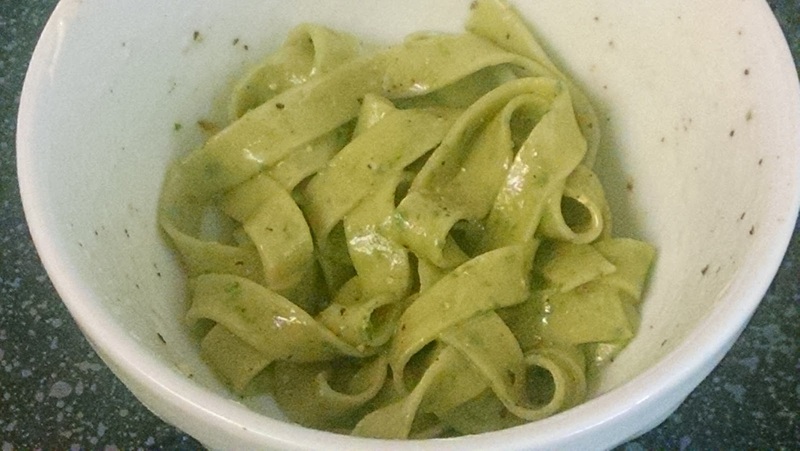 Finally, I made basil fettuccine where the basil has been pureed, the liquid has been incorporated into the pasta dough, and turns the dough green. Here is a look at the dough. 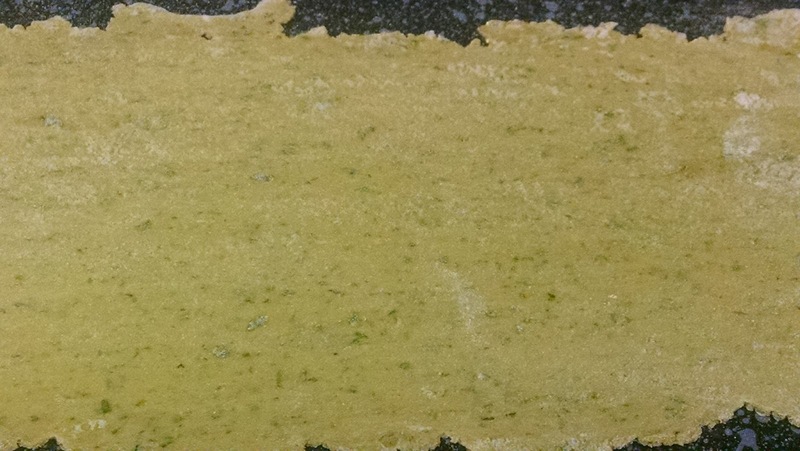 You can see the dough is green through and through in the photo above. It doesn’t really impact the flavor, but it has more to do with how the dough looks. You might notice the very subtle flavor of basil, but it won’t be overpowering in any way. 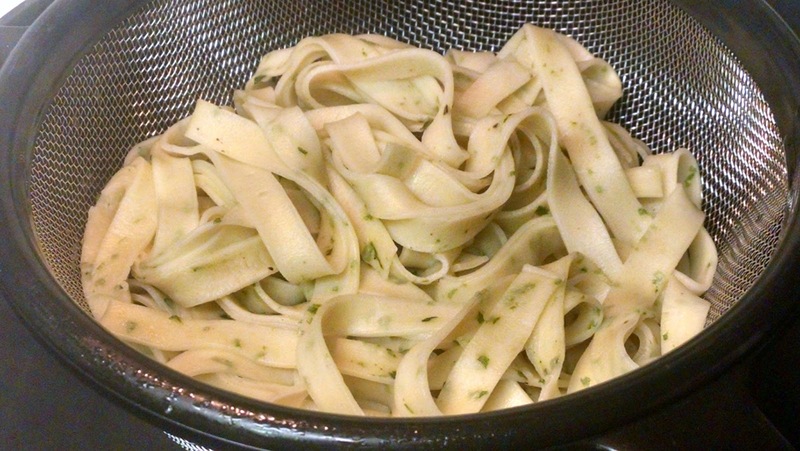 Okay, are you green with envy for this basil fettuccine? As you can see, it really looks spectacular and is darn tasty to boot. I chose to toss the pasta in some olive oil, salt, pepper, butter, and fresh parmesan cheese. I think for any fresh pasta having a simple sauce allows you to make sure your noodles are cooked and taste good. Otherwise, you run the risk of making a great tomato or cream based sauce to go with your noodles, but the pasta aren’t right and you may have to scrap your sauce. Just keep this in mind as you settle in with making pasta. Note: This method does have some drawbacks. This was actually my second attempt at making the pasta look like this. The first try…..well, lets just say the color of the dough wasn’t appealing at all. Remember how I talked about the color of one of my test batches of my roasted red pepper sauce that didn’t work out? Yeah, the color was something like that…….okay, moving on! Since I am still testing this recipe, I am not going to put it up on the blog just yet. I am hopeful this recipe will be ready to debut soon. Keep in mind, you can make pasta out of beets, sweet potato, spinach, carrot, and so much more! Yes, you can make it all from home!! Well, I’m off to pack from my trip! Stay tuned for updates from the road!